We Balaji Sports Co. only One Manufacturing Firm in India dealing in Synthetic Sports Floor Coating. We are one the renowned manufacturers, suppliers, exporters and traders of Synthetic Sports Floor Coating. The provided paint is used for making surfaces smooth, shiny and bacterial free. 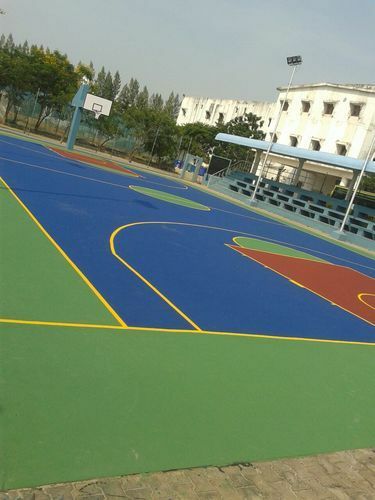 This sports flooring court is processed under the strict leadership of our professionals using harmless chemical compounds with the help of progressive methodology. Moreover, this paint can be purchased from us at market prices within promised time.